The Safe and Accurate Food Labeling Act of 2015 moving through the House of Representatives would have major implications on GMO labeling and crop production. Update: After we published this article, several House Democrats filed amendments, potentially disabling several key parts of the bill. What you see below refers to the bill’s original language. There are two names for H.R. 1599, the controversial Republican-backed bill concerning GMO labeling that is currently moving through the House of Representatives. The first is its bland, official name: The Safe and Accurate Food Labeling Act of 2015. The second is the nickname given by its opponents: Deny Americans the Right to Know (DARK) Act. Together, they reveal the two sides in the frequently bitter fight about the safety of genetically modified food. 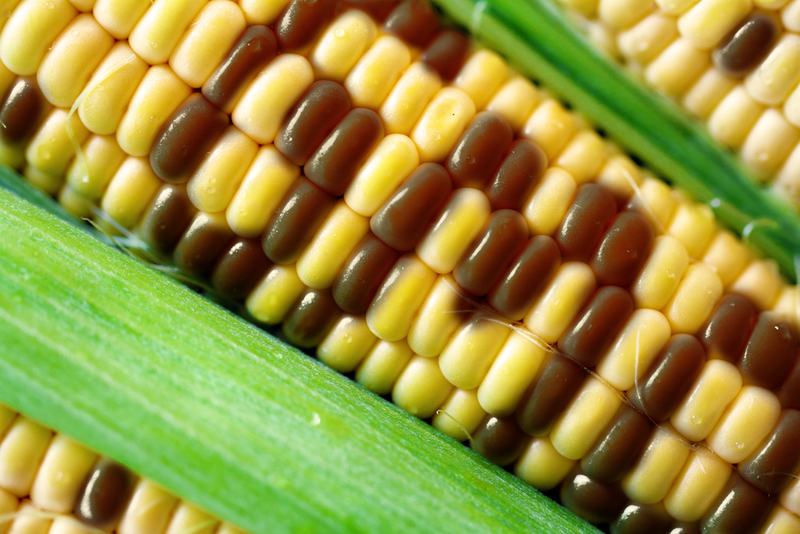 Critics of GMOs have a long list of concerns. Take Monsanto’s notorious “Roundup Ready” seeds. They have been bred to resist an herbicide recently deemed a “probable carcinogen” by the World Health Organization; they have led to a rise in monoculture crop production; and they have been linked to the decline of the Monarch butterfly. Critics also worry about genetic contamination and a lack of research into the long-term health effects of the crops. For these reasons and more, two economists recently called GMOs “perhaps the greatest case of human hubris ever” in a New York Times editorial, saying agriculture industry has created a system “too big to fail,” much like the banking industry in 2008. Meanwhile, GMO supporters argue that the world is facing a global hunger crisis, and foods genetically modified to have more nutrients could be potential lifesavers. But H.R. 1599 is not about the existence of GMOs, which are entrenched in American agriculture (GMO crops account for around 90 percent of corn and soy grown in the country). It’s about whether the genetically modified foods you buy should be labeled as such. And because independent poll after poll shows that the majority of Americans support GMO labeling, the bill’s opponents see the bill as nothing more than the agrochemical industry flexing its lobbying muscles. 1. It would negate all existing GMO labeling laws. Most of the legislature around GMO labeling has been designed to alert consumers to the presence of genetically modified ingredients, which the Center for Food Safety estimates are in at least 70 percent of processed food. Pesticide and seed companies like Monsanto and industry groups like the Grocery Manufacturers Association have spent millions defeating pro-labeling bills in several states, including California, Washington, Colorado and Oregon. Despite the industry’s deep pockets, a law passed in Vermont last year that would require mandatory GMO labeling for all ingredients by July 2016. Connecticut and Maine have also both passed bills requiring labeling, but they can only take effect once enough states nearby have similar laws. H.R. 1599 would negate all of these laws, and more–according to the Center for Food Safety. The preemption language in the bill would nullify over a hundred local laws that, directly or indirectly, regulate genetically engineered crops. There’s nothing stopping food companies from doing their own labeling. But as Ken Roseboro, editor and publisher of the The Organic & Non-GMO Report points out, they’ve had this power since 2001, when the FDA issued guidance on voluntary GMO and non-GMO labeling. “How many companies have voluntarily labeled their products as containing GMOs since then? None,” he says. 2. The bill would give jurisdiction over non-GMO certification to the U.S. Department of Agriculture (USDA), which doesn’t have the same rigor as independent certification programs. Because of public perception around GMOs, companies are much more likely to advertise the absence of genetically modified ingredients in their products–whether they’re big corporations like Chipotle and General Mills, or small food companies using labels like the butterfly and checkmark logo of the Non-GMO Project, an independent nonprofit. 3. There is language in the bill that preempts state and local laws regarding the production of GMO crops, not just labeling. H.R. 1599 would overturn all of these laws and preempt new ones from taking their place. “It removes local control over GMOs from citizens,” says Roseboro. 4. The bill would expand the definition of “natural” to include some genetically modified ingredients. The natural label is something of a joke in the industry, because it means so little; many highly processed foods can be considered “natural,” and unlike organic, there isn’t an official verification process behind the term. But there is language in H.R. 1599 that allows companies to make “natural” claims on packaging even if the food contains GMOs. Opponents of the bill believe that it will add to consumer confusion. A Consumer Reports survey found that nearly 60 percent of shoppers look for the “natural” label on foods and more than 75 percent of them believe that the label has specific attributes like lack of artificial coloring, flavor, or GMOs–even though it has no legal definition. 5. Even if the bill is introduced in the Senate, it probably won’t pass–and there are bills in both the House and Senate in favor of mandatory labeling. As we all know, a bill needs to pass in both the House and Senate before it becomes a law. The Senate corollary to H.R. 1599 hasn’t been introduced at press time, though many expect it to appear any day now. But experts say the odds of it finding enough Democratic backing in the Senate are slim–and it would still need to be signed into law by President Obama. In February, Democrats in both the House and Senate introduced bills that would require mandatory national GMO labeling administered by the U.S. Food and Drug Administration (FDA). Neither is as far along as H.R. 1599, but they represent hope for those who believe in GMO labeling on the federal level. See the latest on state-level labeling efforts here. How come Republicans are always scream for "states' rights" and then sponsor a bill with only one purpose and that is to decrease states' rights? Certainly the "right" to know what we're putting into our bodies falls in to the category of "inalienable rights" referenced in the US Constitution. If not, it certainly should be. "Science" has told us many facts that have turned out to be inaccurate and dangerous. As a landscape designer I stopped using Roundup years before it was classified as carcinogenic. Microwaving food encased in plastic? Not so great it turns out. "Eat less fat and more carbs" not only wasn't so healthy but turned out to be one of the main causes of the US obesity epidemic. It may be that GMO's will turn out to be the greatest thing since (organic) sliced bread, but isn't that my decision? It sure as hell shouldn't be left up to our bought-and-paid-for-Congress. Easy, if a food contains GMOs the largest print on the package should read CONTAINS GMOs. If it might contain GMOs it should say that. The same for pesticides. If panicky, ignorant people wont eat from a package labeled that way producers will just have to buy non-GMO foods. Farmers are intelligent and resourceful, they can grow food the old fashioned way, but it's going to cost you. I try to buy healthy food. Consumers need labeling both for GMO and for Country of Origin. As it is now, I do not buy anything that does not have that information on it. Non-GMO/Country of Origin/Organic labels help me be more informed. Your votes will continue helping your constituents to eat healthy foods. This bill should not pass. If it passes then this will open new companies for the demand of non GMO foods, in the long run GMOs are going out, people talk it becomes part of our culture that GMOS are not good. It is foolish to assume that any corporate entity cares about human life. Their bottom line is always about the money. Another dishonest article. Not based in fact. For starters there is no need for any labeling bill of any tyhpe as g.e. crops are as safe as any and nongmo and organic labels allow those who refuse to learn this to avoid g.e. crops. A viewing of Eric Bjerregaard's Facebook 'likes' will tell you all you need to know. please stop putting poison into our lives and the lives of every animal and insect!! My family does not and will not accept GMO products, ever. Do not pass bills to suppress what we should know about our food. So many countries around the world are banning GMO products, why are we so far behind? Is it because their schools are better, therefore they are smarter. Big corporations are worried about thei ability to make $ without concern for the health of our citizens. I have been really encouraged by the Non-Gmo labeling. If the politicians do anything to mess with that, we need to vote them out of office. Stop worrying about what party they are in. Get rid of them. Great explanation of the details, thanks. Amazing how easily the GOP, and politicians in general, will back away from their lip service to local and state control when they're being lobbied by some of the world's biggest, most powerful companies. Once there's some voting, we should definitely follow the money. LABEL GMO'S FIRST THEN GET RID OF THEM!!!!!!!!!!!!!!!!!!! DO NOT PASS THE DARK ACT ESPECIALLY SINCE WE HAVE NOT BEEN ABLE TO READ WHAT IS IN IT!!! What you are doing will cause more health problems. We have a right to know what we are putting into our bodies. I grow most of the food I eat. Most are not able to, they should be able to get food free of GMOS. Or at least choose if they want to eat this altered food or not. No to the Dark Act .i want to know what's in my food. We have a right to know what is in our food and where it came from. I demand that GMO foods be labeled as such.Do not pass the DARK ACT. I am against the use of toxic chemicals on crops. We are poisoning our land, our food, our animals and ourselves as well as killing our pollinators with them. And we should have a right to know if our food is GMO. What is wrong with our government,when they let the big Corp's run our government..They have sold the American people down the drain. Shame on all of them..
Our representatives were suppose to protect us " WE THE PEOPLE" from from just this kind of thing...Why do we keep electing them to office when they don't do the job. This government needs an over haul, lets get rid of them come election day.. I changed over to Organic fruits and vegetables in November 2014. I have lost weight, my arthritis is not as painful and for the most part I am pain free. My thought processes are clearer and I feel about in my late 40's or mid 50's. All friends and family cannot get over how great I look and casual encounters do not believe I am my age. Do I believe in non-GMO...you better believe it. It is the food of yesteryear, in taste and quality for the body. O' I do eat grass fed meat and NO preservatives and NO farmed fish. Please don't take away our right to know! GMOs are not proven harmless but have much evidence as harmful. Even if they are "harmless" the consumer should have the right to know if what they are buying - even processed food - contains GMOs. DON'T YOU WANT YOUR FAMILIES AND FRIENDS TO SEE THE WORLD NATURALLY NOT UN- NATURALLY MODIFIED..
We are not ginea pigs! Enough already. I want natural nonGMO foods and demand labeling to warn me of GMO in a package or vegetable. Non GMO zones in Oregon should spread around the nation like a prairie fire! We need legislation that provides ALL food labeling so we know what we are putting in our bodies. We need to have the choice of how we treat our bodies, and that of our children. Let us vote with full knowledge. yes the GOP is always screaming about "big government" yet now they want a law so they can sell you food without telling you how it is produced and worse yet-forbid the people growing food responsibly from being able to say "GMO-FREE" it's a gag order-it is unconstitutional -Monsanto is asking to be taken out forcibly -why are they so evil and why do they want a strangle hold on world food production? We need to stop this please! What right has the government to keep us from knowing what our processed foods are made of, where grown and what chemicals are added before hitting the stores. I know this trash has been going on for a long while now, but has gotten worse since the SC deemed corporations as people. What action is required from citizens? I think you should include links to options about them. we have every right to know what is in our food and water. This is wrong and very much like what a Communist nation would do. The best defense is education of the public. If H.R. 1599 passes I will be even more pro-active in educating the public about the dangers of GMOs. Our dollar will be our strongest voice. When consumers refuse to purchase foods containing GMOs, the big food Corporations WILL get the message that consumers want clean GMO free food. If they continue down the GMO path, profits will plummet. Companies should label GMO products. DARK act is to label GMOs but what bill forces the FDA to label soy as a developmental Poison as (secretly) acknowledged by the FDA?